What it's like to swim at Müller’sches Volksbad in Munich, Germany! 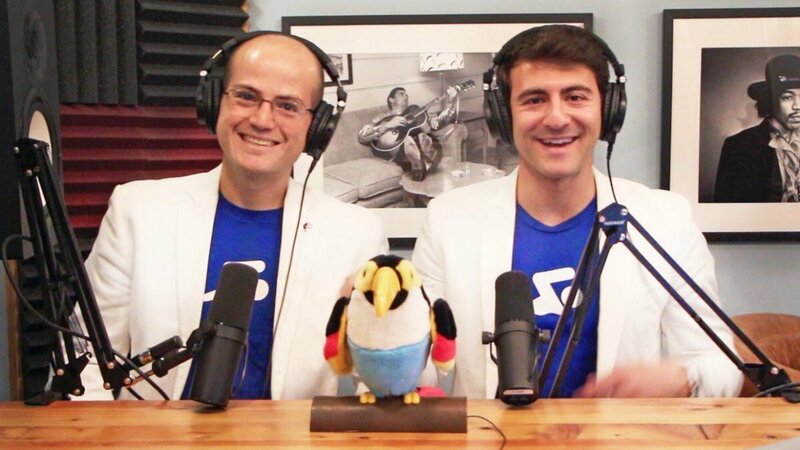 On this episode of the #AskASwimPro show we’re in the Detroit studio recapping our recent trip to Germany and swimming in an amazing venue in Munich: Müller’sches Volksbad. 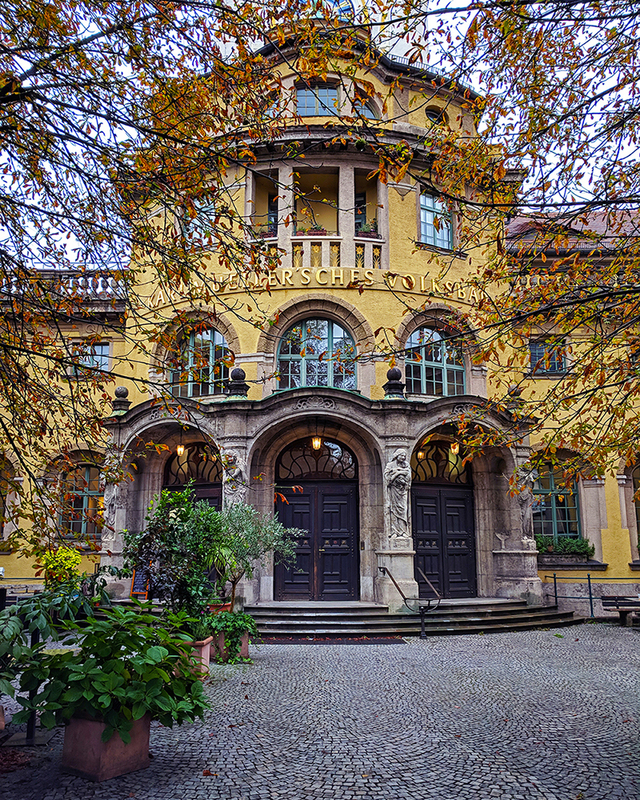 In Munich we visited Müller’sches Volksbad, a short walk from the Isartorplatz station. This is definitely one of Europe’s most magnificent aquatic facilities. This bathing temple on the Isar opened its doors in 1901. The architect was inspired by the design of Roman Thermal Baths, Hammams and Mosques! When this facility opened in 1901, it was the largest and most expensive swimming pool in the world and the first public indoor pool in Munich. This is the city’s most stylish venue for enjoying swimming and the sauna all year around. Bathing like the ancient Romans is one of the highlights of this facility. 1:00 – CASIO Press Event in Berlin, Germany. 2:28 – Swimming in Munich, Germany. 3:16 – What it’s like to swim at the largest pool in the world (1901). 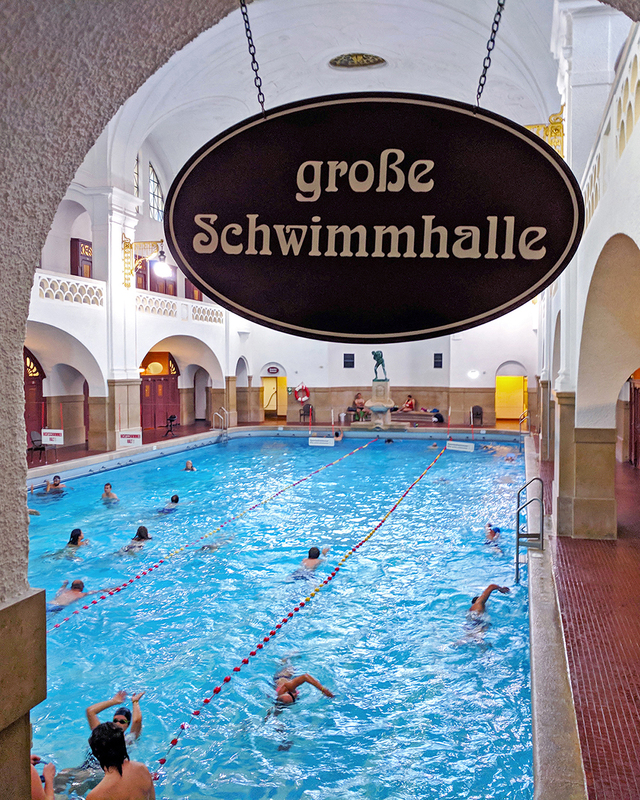 4:55 – How Müller’sches Volksbad operates. 7:10 – Navigating the locker situation at Müller’sches Volksbad. 9:43 – Swimming in Zurich. 10:40 – Different lanes for different strokes. 11:10 – Munchen Opera at Müller’sches Volksbad. 14:06 – Tips for swimmers who train on their own. 15:58 – River swimming/surfing in Munich. 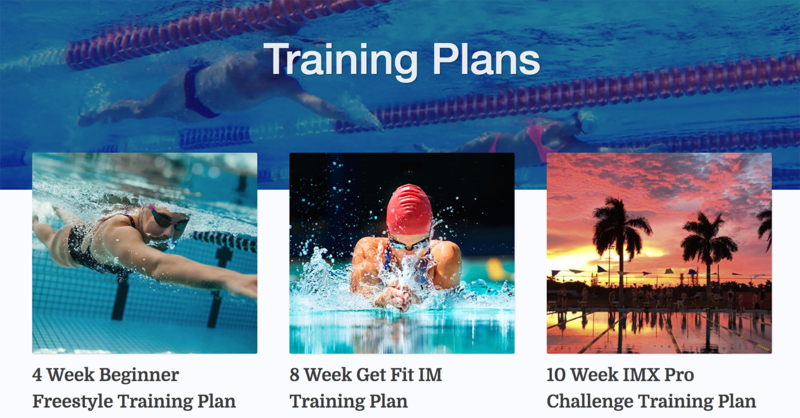 17:40 – Overview of the MySwimPro training plans. 17:50 – Mike’s story losing 100lbs with MySwimPro training plans. The architectural centerpiece of the sauna facilities is the main dome-covered area. In the middle, the warm-water pool is heated to a pleasant temperature (around 34° C). The alcove at the top end houses the refreshing cold-water pool (around 15° C) and the “iron maiden” cold shower. The Müller’schen Volksbad’s sauna facilities also include a Finnish sauna (around 95° C) with changing colored light and the Roman steam bath with a large steam room (around 45° C) and fountain, warm and hot rooms heated to varying temperatures (around 45° C, 60° C and 80° C) and the new open-air courtyard. If you’d like to learn more about MySwimPro or our global community, please drop me a message at fares@myswimpro.com.